Cardi B refuses to perform at the Super Bowl until Colin Kaepernick gets rehired - Ooooooo La La! Cardi B is in Minneapolis for this year's Super Bowl festivities and the TMZ cameras caught up with the "Bodak Yellow" star on Saturday night at a Maxim Party. 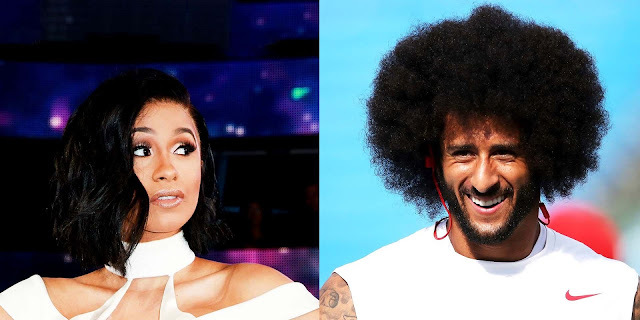 When Cardi was asked when is she going to be seen performing at the halftime show, she responded: "When they hire Colin Kaepernick back." "Ain't no1 gonna want her to perform in the super bowl lmao who she think she is!" "It was a question that they ask. You can't even afford Super Bowl tickets."